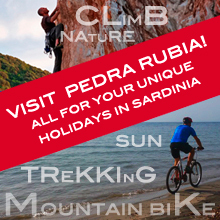 How to get to South WESTern sardinia? 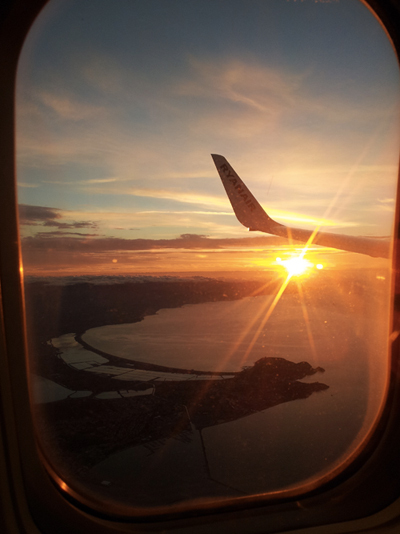 Cagliari Airport is just 45/50 km away from Iglesias, the main city of South West Sardinia, or from the climbing area of Domusnovas. The other airports in Sardinia are at Olbia (275 km away from Iglesias), Alghero (239 km) and Tortolì (177 km). The island is also accessible by ferry from Livorno, Genova, Piombino, Napoli, Civitavecchia, Palermo. The arrival points are Cagliari, Porto Torres, Arbatax, Olbia e Golfo Aranci. You can also compare all ferry companies to Sardinia with aferry. Once arrived in Sardinia, you can drive to Iglesias/Domusnovas. By car from Cagliari follow the SS 130 for about 45/50 Km (it takes 40 minutes). Porto Torres is 250 Km away from Iglesias. Follow the SS 131 to Cagliari untill you reach Sanluri. From here, take the SS 293 to Siliqua where you take the SS 130 to Iglesias. From Olbia follow the SS 199 untill Ozieri, then take the SS 128 bis to reach the SS 131, following this road SS 131 to Cagliari untill you reach Sanluri. From here, take the SS 293 to Siliqua where you take the SS 130 to Iglesias. Iglesias is linked by train directly to the Cagliari Airport (the railway station is beside the Elmas Airport). After 30 minuts you arrive at Domusnovas where you should change train to get to Iglesias (other 20 minutes). 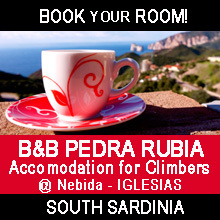 Discover here how to get to Nebida, Iglesias (Sardinia).